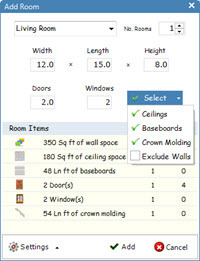 Of the features The Paint Estimator can do. 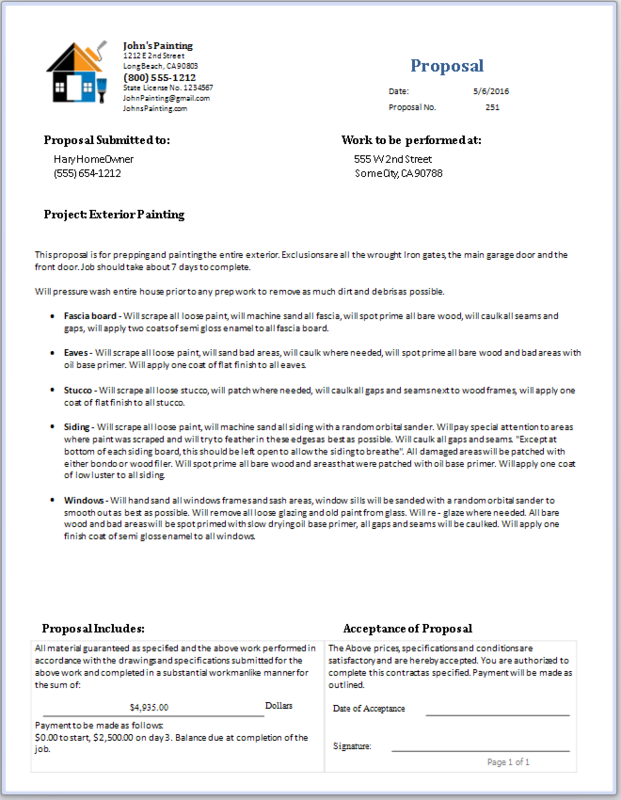 This program was written or aimed for the Painting Contractor who is a Owner / Operator. This means that you run the business and also work on the jobs along side with your employees. This program also assumes that you as the contractor have an general idea on how long it should take to complete the tasks that you are estimating on. If you have never painted before and decided to become a painting contractor then I'm not sure this program is for you. You can always download the trial version and try it out for 5 days to help with your decision. Unlike other estimating programs out there this program has 4 different methods to estimate jobs, For more Info on these methods, click one of the buttons below. Time and Materials: Where you do not give a direct cost up front - great for wallpaper jobs or customers who trust you and just want the work done. Historical Production Rates - This program comes with a unique method for you to record your own rates. For example: you have 35 windows to paint. At the end of the day you open up the Add rates form and enter how many you did, how many guys, materials costs and it will record your rates for these windows for future jobs. New: As of Version 4.0.0.0 you now have a room option. Just simply input the dimensions and the program will figure the rest out. Are you just painting the ceilings? or just the trim. Could not get any easier then using the room feature. Easy to setup, Just choose your six default rates. Walls, Ceilings, Doors, Windows, Baseboards and Crown Molding and that's it. New users these rates are already selected and can be modified any time. 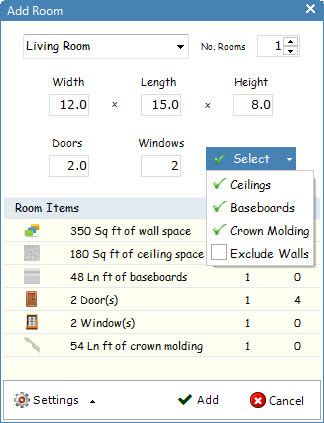 You can even change the default window and doors sizes so your sq footage is accurate. 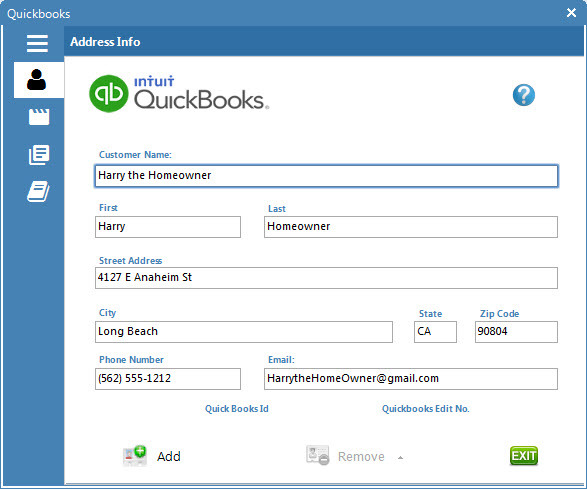 You can also start estimates using customers from Quickbooks as well. 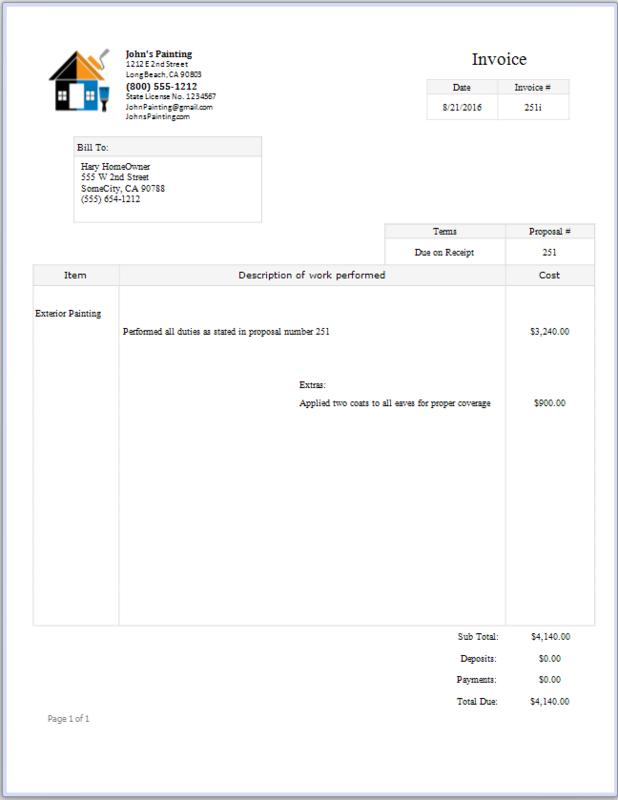 Hopefully in future updates I will adding the ability to create Invoices. 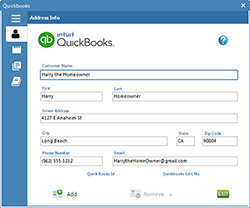 This only works on Desktop versions of Quickbooks. Your overhead will be calculated for you. Simply enter all your expenses, enter the number of hours you hope or plan to work for the next year. Decide whether you want to give your employees a few perks like paid sick and holidays and the program will break it all down and add the amount to all active workers hourly wage. Keep time stamped notes on your employees. This comes in handy to decide on whether you should give them a raise or let them go. Each time the employee does something good or bad, you can open up their file and make notes. The way these were designed was to present simple understanding descriptions that the customers can easily understand. You will get complimented on the details and the professionalism of the way these proposals look. 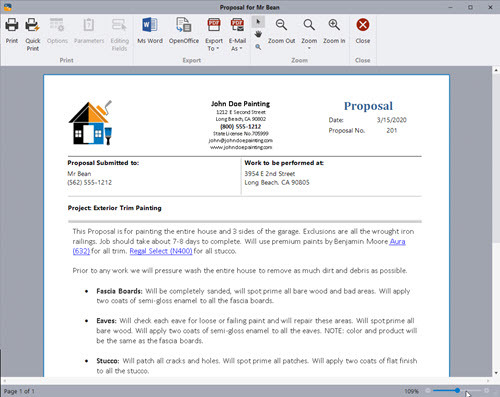 You can print proposals directly or export them to PDF, RTF, Word Document and Apache OpenOffice files. 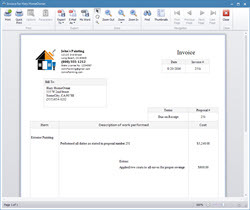 You can also send them as an attachement to your default email edititor like Microsoft Outlook. "Requires Outlook or something simiar. You can add your own logo. Once you start the job, just enter the hours for each employee, this takes only minutes and you can print time sheets for the job. This is good to keep in the customers work folder. 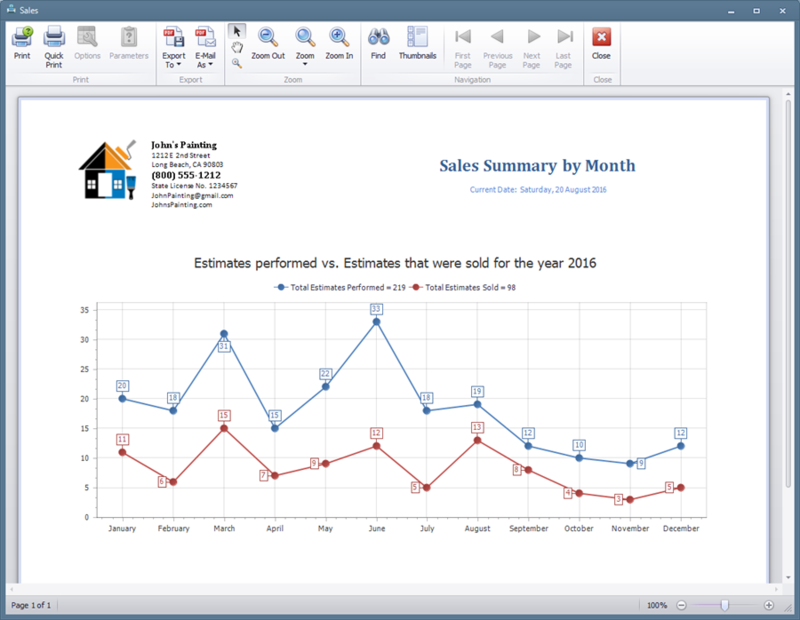 Also you can print reports that will show where you stand based on your progress. 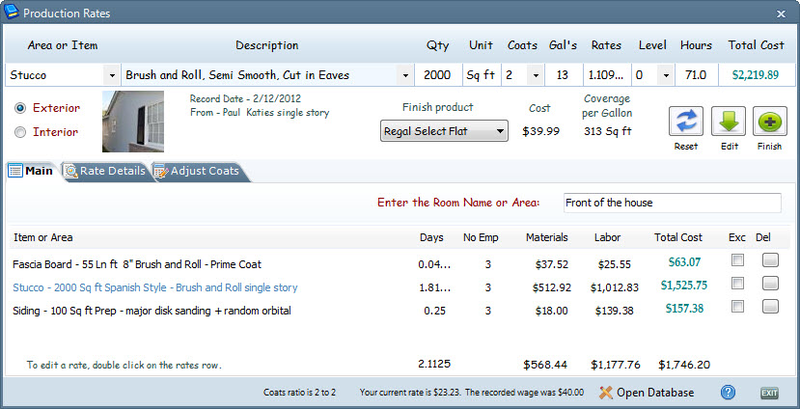 Create Work Orders for your crew, print change orders for the extra items the customers decided to add. Now comes with a sample company so you can check things out and see how things work with out having to spend a little time on setting your own company up. The sample company comes with 4 estimates using the different methods of this program. A great way to check out the program during your 5 day trial. Print Labels using your Dymo Label Printer "Models 330, 400 and 450 are supported"
This is really helpful for you and the customer. Simply enter the colors that you used for the job and then you will be able to print labels for all the left over paint cans. If the customer decided to move then the new owners will know who to call. 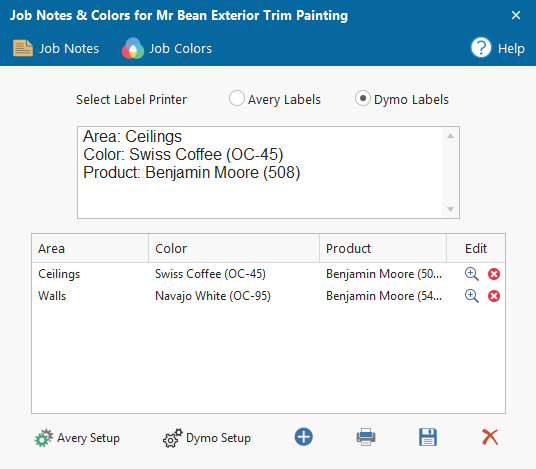 Even if you don't have a Dymo Printer you can still keep a list of colors used for future use. 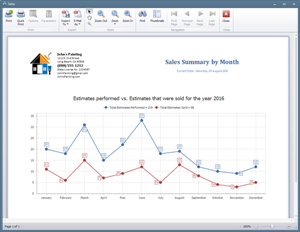 See how you are doing with your sales from month to month. Here is a line chart showing you the amount of estimates performed vs how many you actually sold. Would you like to learn what to charge per Sq-ft, per item and so on? The paint Estimator comes with a nice easy to use recorder where you can get these figures. Some people just don't have a list of historical production rates. This program comes with a real easy to use live recorder that will make it easy to get rates. 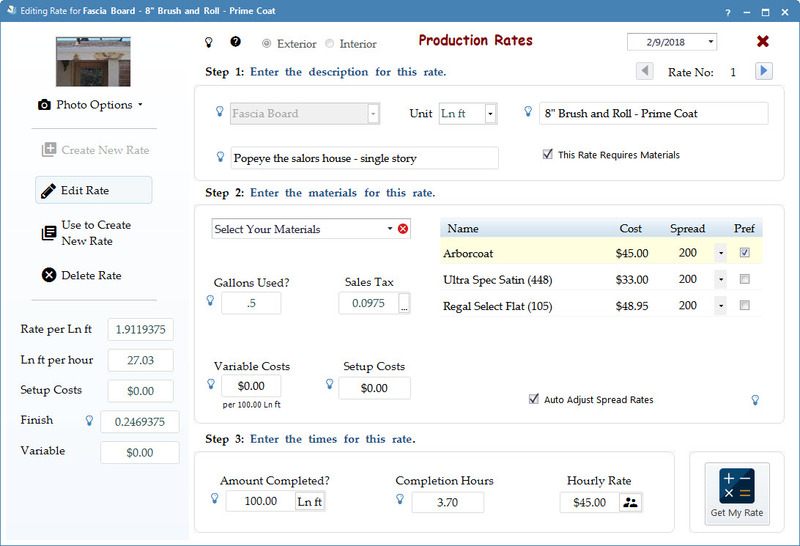 You can add pictures, use multiple materials for the rate and much more. Say you have 500' of fascia board to paint. Just write down the starting time, start painting and when you done write down the finish time. Enter these numbers in the rate recorder along with how much materials you used. Click on Get my rate and that it.